Hedayat's Blog | My Linux Related Blog! As I said in the introduction, PowerFake lacked the features of a complete mocking framework, and I was hoping to be able to integrate it with one or more mocking frameworks. So, I decided to try integrating it with FakeIt as the first target. Thanks to its flexible design using virtual functions and abstract classes, I was able to integrate PowerFake with it nicely, and the result is PowerFakeIt template class. Using it, you can use almost all of FakeIt tools with free functions and non-virtual member functions, effectively extending FakeIt for such use cases. Initially, I didn’t intend to do anything for virtual functions in PowerFake, as I thought it is already covered enough in mocking frameworks. However, soon I realized that it is not true: you also need to use a mock object and pass it to the functions using the virtual functions… but it is not always possible to inject your mock object in the production code, because the function might have used an internal object for its purpose. In some cases, the virtual function call might even got devirtualized by the compiler, which will result in a direct function call rather than an indirect, virtual call. And, PowerFake already supports faking devirtualized calls. Reading a bit, I figured that I can also cover virtual function calls of GCC in PowerFake. Now that PowerFake can be used with mocking utilities of FakeIt, my next priority is supporting virtual function calls. And, it’ll fake virtual functions of the target class, so every object of that class will call the fake function and there is no need to use & pass a mock object to the target function. Finally, note that PowerFake is still in the early stages of development, so no backward compatibility is guaranteed and there might be many corner cases which need to be fixed. Fedora 25 will be coming soon! So I decided to try F25 beta to see if I can hunt some bugs; and even if I can start using it as my primary OS. Specially since it is going to use Wayland by default rather than Xorg for its graphical subsystem, more testing is needed to make sure that final release will have less surprising bugs! I’ve tried Wayland in Fedora 24 and some applications (notably Eclipse) work terrible under Wayland; and I’m installed F25 mainly to see how Eclipse works under Wayland there. Fortunately, Eclipse works fine under Wayland in Fedora 25. Even better, Wayland experience under Fedora 25 seems more smooth than that of Fedora 24 using nouveau driver. Generally, Wayland under Fedora 25 is usable. However, there are bugs & annoyances here and there. So, it is likely that Fedora will be perceived by a number of users as ‘buggy’. If you are installing Fedora 25 for such users, it is better to switch to using Xorg for now. For example, I’ve experienced system temporary freeze (e.g. 1 minute or more) a few times. Hamster time tracker and its gnome shell extension have problems under Wayland. The tray icon of Telegram desktop application doesn’t appear. Fedora 25 comes with a new Gnome. It comes with a new calendar application, which looks good. However, it has crashed for me a lot when adding/removing events. It also lacks some features: e.g. I didn’t find the ability to define recurring events. Keyboard settings dialog is also updated. Seeing everything in a long list is actually frightening. But being able to search for the desired action is great; which is IMHO the main way to interact with this new settings design. As every Fedora release, I enjoy installing & using Fedora extra backgrounds. They are really beautiful, and I’d hope they were available by default (Although it seems that there are a few new default background images too). What about installation? Fedora 25 installation has almost nothing new: it looks very similar to that of previous releases. However, I had two issues with it which was new: 1. I was unable to install F25 using the ISO stored on the same disk as the target partition. So, I was forced to install Fedora 25 using a separate USB disk which was something I didn’t do for a long time. 2. Layout switching didn’t work in the installer. Beside these problems, the installation goes like before. And, if you care about your internet usage, make sure that you disable both dnf makecache timer, and stop PackageKit from downloading updates automatically. I don’t allow a new Fedora installation to access internet before doing these, as it might just eat a considerable amount of data. And this is my card for the new Solar/Jalali(? 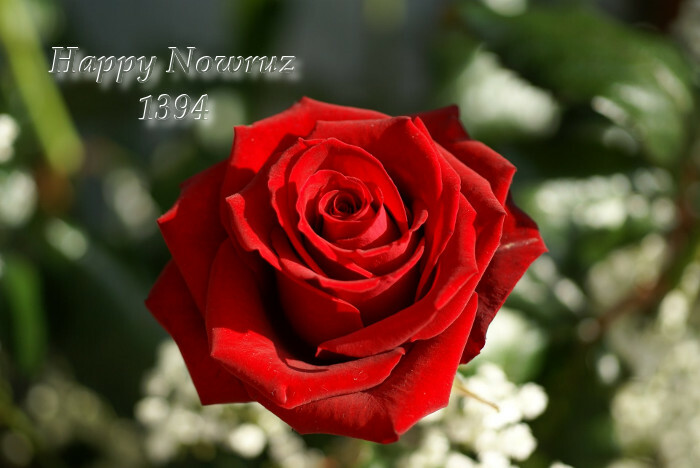 if I’m not wrong :P) year, Happy Nowruz (the first day of year in our calendar is called Nowruz)! The Shiny New DNF, and Why I Prefer Yum! You certainly already know about DNF, the new package manager in Fedora which is available in Fedora repositories since Fedora 18 while Yum is still the default (command line) package manager. However, DNF is expected to replace Yum as the default command line package manager in Fedora 22. And so, every Fedora user should consider it seriously. DNF has some interesting properties that I really liked about it. Probably the most visible one, and certainly the most exciting one for me, is speed. It is really much faster than Yum. Yum spend much time specially when starting up. For example, I ran a similar “list” command using both DNF and Yum for a few times. Yum took around 25 to 29 seconds to do it, while DNF did it in about 5 seconds (no downloads for both). I don’t know what does do during this period, but my HDD is busy most of the time. Surprisingly, Yum downloads compressed SQLite metadata, but DNF downloads compressed XML metadata. The former is considerably larger than the latter, but Yum selected it for speed purposes! AFAIK, DNF (actually libsolv) doesn’t use XML metadata internally but converts them to its own format; and IMHO this is actually the right thing to do. Yum could also use a similar approach (I’d prefer), but maybe they preferred to waste bandwidth rather than client’s processing power (and yum wouldn’t be faster than today anyway). It was great news for me; not only DNF is way faster than Yum, but also it downloads much smaller metadata (about half the size of compressed sqlite dbs used by Yum)… However, I was wrong; The amount of metadata downloaded by DNF is actually more than that of Yum! I saw that Yum downloads about 20M of metadata for fedora-updates repository while DNF get around 30M! Why? Because DNF is too lazy and downloads all metadata, including list of all files in all packages which is around 15M; while Yum only downloads list of files when they are actually needed. And in my system, Yum has never downloaded the list of files while DNF downloads them every time the repository is updated. I always hated Yum for downloading such a large metadata over and over again, and DNF is just horrible. Unfortunately, DNF author has no will to change the situation. Actually, I use two plugins with Yum which I’d like to have in DNF too: yum-plugin-local and my own Yum Fast Downloader. The former is not that important, and I can live without it; and I hope to be able to create an equivalent of the latter, while it will need a completely new approach. Currently, I use DNF for some operations like search and list commands, but use Yum for most other tasks. And I almost always run DNF from cache, except when I have free Internet access! I’ve also disabled automatic cache download by DNF, which can make DNF much more hostile! DNF can eat your Internet credit silently! Let’s assume that you pay for your Internet connection per GiB. And you install Fedora with DNF, and use it for one month. You never use DNF during this month. Now, you might get shocked that DNF has used about 1GiB of your internet credit, while you have not used it at all! Even if you decide to use DNF after one month, what you get is the latest metadata. So, 30MiB of that 1GiB is what you actually used. Yes, this is currently the default settings, which I consider insane. If Fedora 22 is released with DNF configured like this, it means that: Fedora 22 consumes about 1 GiB of your internet connection by default just for downloading repository metadata! Surprisingly, even if you update your Fedora regularly, the amount of actual data you download to update your Fedora might be less than that (thanks to delta RPMs). Its true that the repository metadata format is currently very inefficient for updates and you should get all metadata again even if one package is added, and it is not DNF’s fault, but the decision to download metadata automatically, and downloading unnecessary metadata, is what DNF has made. That makes sense for people who have access to cheap internet, or don’t pay for it per GiB; but IMHO this should not be the default settings for a distribution like Fedora. Anyway, if you happen to install DNF, make sure that you check metadata_timer_sync option in “man dnf.conf” and put an appropriate option in your dnf.conf. I use “metadata_timer_sync=0” as I don’t want it to waste my money for no good!